If you haven’t been to your local Dollar Store recently, you really should check it out. We have a Dollar Tree near us and I have to say a really LOVE that store. You can literally save up to 80% on items that you purchase as grocery stores, craft stores, party stores, and toy stores. Plus, Dollar Tree accepts manufacturer’s coupons so now you can get freebies! 1. Seasonal Items: Always check The Dollar Store before going anywhere else to buy Christmas, Halloween, Easter, Fall, and Seasonal items. This is my favorite place to purchase stocking stuffers and Easter basket fillers. Sometimes I find candy and small toys that would cost twice at much as stores like Target. 2. 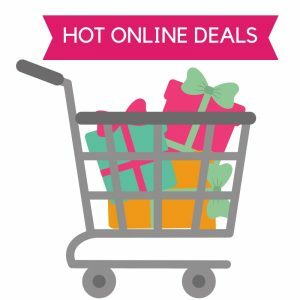 Birthday Party Supplies: This is the best place to buy party supplies! I honestly can’t tell the difference in quality between goods from the Dollar Tree and Party City. Then only difference if you will pay 3-4 times as much! The selection is always huge! You can find: gift bags, tissue paper, plastic table clothes and paper products (in several colors), cards, party favors, and more. They even carry themed items for wedding and baby showers. One of my favorite items is the huge selection of Mylar ballons that they will blow up for you on the spot. They usually cost upwards up $4 each at other stores. 3. Postal Packaging Supplies: The Dollar Tree carries 3M scotch tape, packaging tape, bubble wrap, and envelopes. I can’t believe how much more you pay other places. 4. School/Office/Craft Supplies: Stores like Target and Staples have great deals during “Back to School” season. The rest of the year, you are better off buying pencils, pens, paper, paper clips, etc. at the dollar store. You can also find poster boards in all different colors. They also have a great supply of craft stuff like pops, beads, feathers, and more. 5. Beauty Supplies: The hair supplies are usually pretty decent. I like the headbands, ponytail bands, and hair clips. Considering ours get lost a lot, I would rather go cheaper on these. Sometimes you can find named brand make-up. 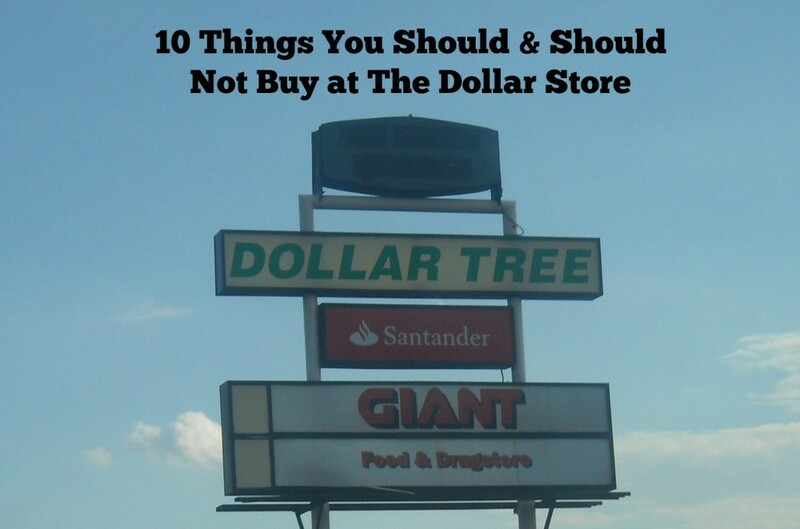 While the Dollar Tree carries regular items, they also get overstocks so keep your eyes open. 6. Healthcare: I like to get things like ointments, band-aids, and other first aid supplies at The Dollar Tree. I also LOVE the toothbrush and toothpaste selection, especially for kids. You can find the same kid’s toothbrushes and toothpaste that you would find at mainstream stores. The kids shampoo is also great as well and it costs half as much. Plus, as much as it sounds weird, the pregnancy tests at The Dollar store work great! They aren’t fancy but they do the job at a fraction of the price. 7. Household: I love that they have Scotties tissues and Softsoap hand soap. They work well and are brands I know. The cleaning supplies are also a pretty good value. I’m NOT talking about heavy duty stain remover or anything. Basic cleaning supplies like toilet and glass cleaner are made out of basic products. It’s really not going to matter what brand you purchase. 8. Home Decor: I love the selection of clear glass bowls and vases at The Dollar Tree. In fact that is where my mom go the vases for the centerpieces when I got married. They would have been $4 or $5 each anywhere else. They also have those 3-pks of battery powered candle wicks. In a pack of three, there is almost always one that doesn’t work but it’s still a decent deal. I also always go there for bins and baskets for storage. They usually have all different sizes and colors. The shower curtains and kitchen towels may not be the cutest or the best, but they are decent to buy in a pinch. 9. Grocery: You can always find your basic spices and those are a great buy! They often have a lot of named brand candy for party favors, stocking stuffers, etc. The packages are usually a little smaller than the grocery stores but the price is a fraction, which makes it a great deal. Check out the frozen stuff too. You can often find named brand frozen treats and TV dinners. 10. Miscellaneous: They usually carry tee shirts in all different sizes. They are great for kids project and at least half of what you would pay at craft stores. Plus, there are all sorts of projects you can do with tee shirts. For summer, they have large containers of bubbles that are great. Also, the flip-flops are cheap but if you just need them for a trip to the beach, then they will work just as well at the ones from Old Navy. dishware: Unless you just need a mug or a plate for a project or gift giving, it’s not worth it. I would rather purchase a whole matching set on clearance at Target. socks: Sure they are cheap, but they are REALLY thin and will wear out after a few washes. Unless you are desperate, I would pass. plastic garbage and storage bags: the garbage bags always break and the storage bags are pretty weak. If you can find Ziplock, check the product count. It’s usually lower than regular stores so your best bet is Target or Walmart. 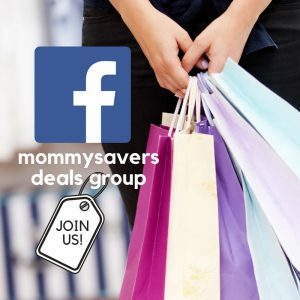 Join our Mommysavers Deals group on Facebook for the latest updates daily.